For an earlier and longer harvest, try starting seeds indoors! Here are some helpful tips for healthy seedlings. If you are new to gardening, you may prefer to buy plants at your local nursery or garden center. But before long, you’ll have the confidence to try starting seeds indoors yourself, which is actually quite easy, and can save you quite a bit of money. You can also learn to save your own seeds if you are growing heirloom or open-pollinated varieties, which means that once your plants are established and producing well, you won’t even have to buy seeds anymore! By starting your seeds indoors in early spring, you will give your plants a head start, which is especially important in cooler climates with a shorter growing season. Starting seeds indoors while it is still too cool to plant outside will give you an earlier and longer harvest season. 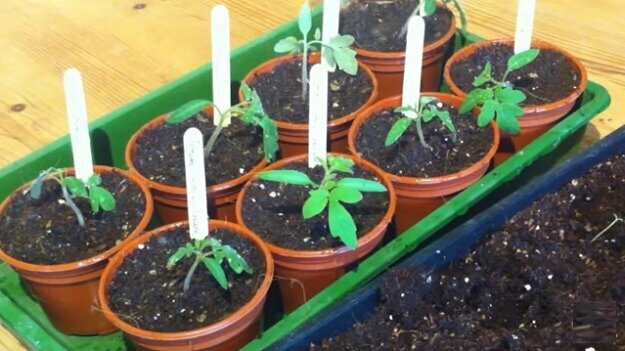 The video below shares some helpful tips for raising healthy plants from seed, including water and light considerations, transplanting, and hardening off (if you don’t know what that is, the video explains! ).